At long last, the Department of Defense (DoD) on January 31, 2018, issued its final rule regarding the procurement of commercial items. On the same day, the DoD also published an updated two-part “Commercial Item Acquisition Guidebook,” a draft of which the DoD circulated last year. 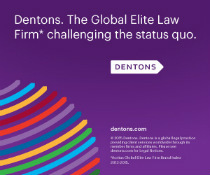 Dentons has been tracking both, including an analysis regarding the proposed rule and an earlier DFARS case that contributed to it. Although the final rule contains some beneficial elements for commercial item contractors and nontraditional defense contractors, it fails to overcome several of the barriers that deter such contractors from selling to DoD and sets the stage for possible problems down the road. Starting with some potentially good news, it is helpful that the discussion and analysis in the final rule expressly acknowledges that the DoD considers the commercial item determination to be separate from the price reasonableness determination. This was an issue that was of particular concern in industry comments submitted in response to the DoD’s proposed rules. Moreover, the DoD’s acknowledgement of these separate inquiries is important because it also emphasizes and reinforces the avenue by which items that have not previously been sold may nonetheless qualify as commercial items if they are “of a type.” It was not long ago that the DoD was actively engaged in an effort to revise the statutory commercial item definition to remove this very concept. Another bit of good news in the final rule relates to nontraditional defense contractors. The final rule defines a nontraditional defense contractor as an entity “that is not currently performing and has not performed any contract or subcontract for DoD that is subject to full coverage under [CAS] . . . for at least the 1-year period preceding the solicitation . . . .” The language at DFARS 212.102 states that contracting officers may treat supplies and services provided by nontraditional defense contractors as commercial items. Although this permissive authority is not intended to “recategorize” current noncommercial items, the provision states that contracting officers may consider using the authority to procure supplies and services from business segments that meet the definition of nontraditional defense contractor even though they are affiliated with traditional defense contractors. The new guidance is enshrined in a new clause: DFARS 252.215-7013, Supplies and Services Provided by Nontraditional Defense Contractors. The provision may create incentives for nontraditional defense contractors to do business with the DoD (or for traditional defense contractors to spin off segments or affiliates that could qualify as nontraditional), but only time will tell whether contracting officers will exercise their discretion to do so. On the other side of the ledger, the final rule potentially retains and creates new barriers for commercial item contractors. First, while the final rule’s treatment of data requirements for both commercial item determinations (CIDs) and price reasonableness offers additional clarity, it ultimately fails to meaningfully reduce barriers for commercial item contractors. As noted above, the DoD professes that it considers CIDs separately from price reasonableness determinations. Nonetheless, under the new DFARS provision, the DoD requires documentation in support of both to be included at proposal submission. The DoD’s rationale is that requiring commercial item contractors to turn over detailed pricing information up front with its proposal avoids delays in contract award. Of course, this likely invites contracting officers to ignore the FAR pricing policy at FAR 15.402 and the orderly sequence of information the government is to utilize before calling on the contractor to turn over its own information. Moreover, while contracting officers may not request certified cost and pricing data for a commercial item acquisition, the final rule contemplates that they use business judgment and have broad discretion to require additional information from commercial item contractors for purposes of establishing price reasonableness. Again, contracting officers should be limited to the order of preference in FAR 15.402 for the type of data required. Nevertheless, the new language in DFARS 215.404-1(b) fails to curb potential overreach through onerous data requests by contracting officers determined to avoid any second guessing of their efforts in support of the commercial item price reasonableness determination. This dynamic may very well have the predictable result of causing many nontraditional defense contractors to turn away from the DoD market. Finally, under DFARS 212.102 in the final rule, a contracting officer may presume that a prior CID “made by a military department, a defense agency, or another component of DoD shall serve as a determination for subsequent procurements of such item.” If a contracting officer does not presume a prior CID is valid, the head of the contracting activity conducting the procurement must, within 30 days, confirm that the prior CID is appropriate and still applicable, or issue a determination that it is no longer appropriate to use FAR Part 12 procedures to acquire the item. It seems that the presumption that Congress created in Section 851 of the FY 2016 NDAA may have unintended consequences. Rather than facilitating the DoD’s reliance on prior CIDs, the final rule suggests that it is within the contracting officer’s discretion to disregard them, though the risk of such discretion being exercised is low. Finally, despite industry urging, the DoD declined to extend the presumption for prior CIDs to those made by non-DoD agencies. Simultaneous with the DoD’s publication of the final rule in the Federal Register, the department also published its final Commercial Item Acquisition Guidebook. Unlike the final rule, the guidebook contains no clear summary of changes made in response to industry comments. For this reason, contractors should carefully study the final version for valuable insight into how the DoD is approaching commercial item and fair-and-reasonableness-price determinations, and and use it to bolster your approach to commercial item issues in the context of contractor purchasing systems. The culmination of many years of effort by the DoD, the final rule provides some needed clarity for commercial item contractors and opens up avenues for nontraditional defense contractors to sell their supplies and services to the government. The final rule does not, however, meaningfully reduce certain barriers for commercial item contractors and may even create new barriers. In future NDAAs, Congress will need to provide additional clarity regarding its goals for commercial item acquisition and to continue incentivizing the adoption of practices by the DoD that genuinely reflect the commercial marketplace. Only through the reduction of unnecessary complexity and the avoidance of onerous information demands will the DoD continue to attract and benefit from the commercial market. On November 21, 2017, DCAA issued a Memorandum for Regional Directors (MRD) confirming that the Class Deviation 2017-O0010’s abrupt halt to technical interchange requirements as a condition of independent research and development (IR&D) cost allowability applies to auditors. Dentons previously discussed Class Deviation 2017-O0010 and its implications for contractors when the Class Deviation was issued in September 2017. The MRD expressly applies the Class Deviation to DCAA auditors. It states that no IR&D costs should be questioned if an auditor finds that a technical interchange did not occur. This guidance applies retroactively to all audits performed of fiscal year 2017 costs, as well as current and future audits. The MRD is available on DCAA’s website. Our November edition of “Government Contracts Legislative and Regulatory Update” offers a summary of the relevant changes that took place during the month of October. Courts historically have been hesitant, for public policy reasons, to sanction relators for taking their former employers’ confidential documents to support their FCA claims. However, in US ex rel. Ferris v. Afognak Native Corp., a US District Court Judge for the District of Alaska sanctioned a plaintiff almost $17,000 for doing just that. We look at the key elements defense counsel in FCA actions should focus on when faced with a qui tam relator who has purloined his or her employer’s privileged (or non-privileged but confidential) documents. Our October edition of “Government Contracts Legislative and Regulatory Update” offers a summary of the relevant changes that took place during the month of September. Please join us for our first annual Dallas Government Contracts Fall Briefing, a complimentary and exclusive gathering where we will examine the latest developments in the government contracting industry. The briefing, which will take place at the W Hotel, will cover commercial item contracting generally and hot issues affecting GSA and VA Schedule contract holders. We also will discuss some of the new, unique risks associated with government contracting, as well as offer practical, effective compliance and risk mitigation strategies. In addition, we’ll share insights we’ve gained assisting clients in government investigations, including how to respond when agents come knocking on your door. We hope you can join us as we discuss these important topics and others impacting government contractors across the country. Our September edition of “Government Contracts Legislative and Regulatory Update” offers a summary of the relevant changes that took place during the month of August. Our August edition of “Government Contracts Legislative and Regulatory Update” offers a summary of the relevant changes that took place during the month of July.